Find the latest press releases and park news issued by the Worlds of Fun communications department. Working members of the media are welcome to contact the park with inquiries. For advertising inquiries, please contact Cramer-Krasselt at 312-616-9600 or email ckmedia-cedarfair@c-k.com. Non-members of the news media are asked to call our Information Center at 816.454.4545. For donation requests or community outreach, please visit our community webpage. 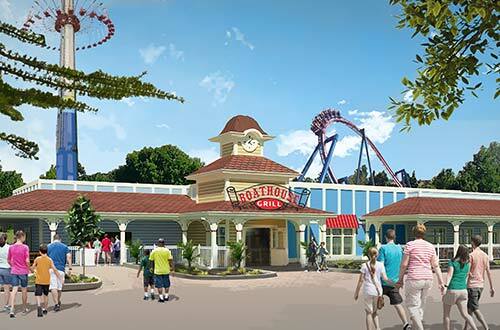 Official press releases and feature stories on Worlds of Fun and Oceans of Fun. Major stories are posted here. For park updates, please email wofpr@worldsoffun.com and request to be placed on our media email distribution list. 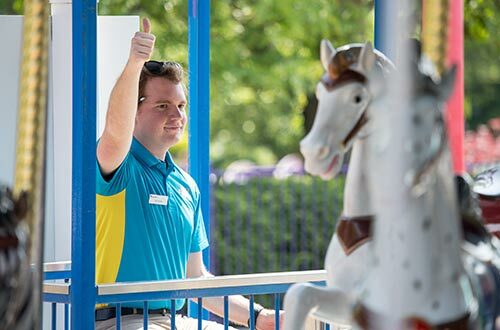 Worlds of Fun is hiring over 2,000 people as it prepares to open for the 2019 season on Saturday, April 13. 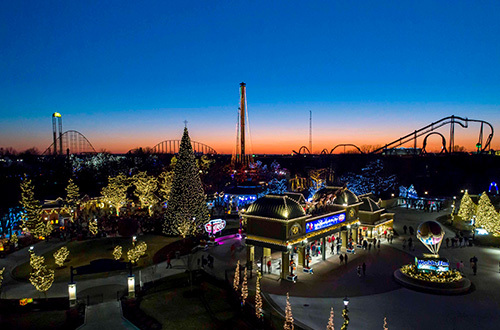 Worlds of Fun is ready to flip the switch on more than 5 million lights when it opens for its second season of WinterFest on Friday, November 23. 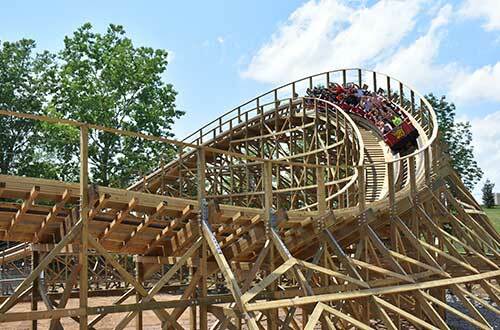 After months of construction and major renovations, the thrill ride now features a new finale that sends riders nearly sideways through an intense 70-degree banked turn. 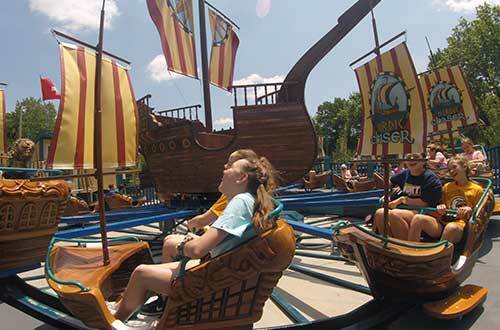 Now in its 45th year of operation, the Kansas City amusement park has added new attractions and park enhancements to complement its existing lineup of family entertainment. 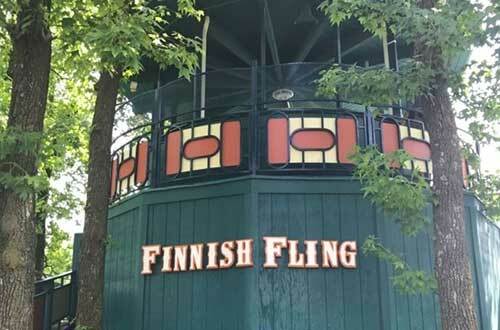 When Kansas City’s Worlds of Fun retires its iconic Finnish Fling ride in October 2017, it will sell the final rides and donate the proceeds to charity. 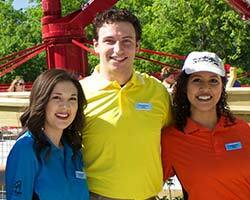 The Worlds of Fun Public Relations Department welcomes inquiries and visits from credentialed members of the news media for the production of high-quality news features and programs about the park. Details on the criteria for obtaining a media pass are available in the Media Pass Policy section below. All requests for media passes must be submitted online, and please allow up to 14 days for requests to be approved. 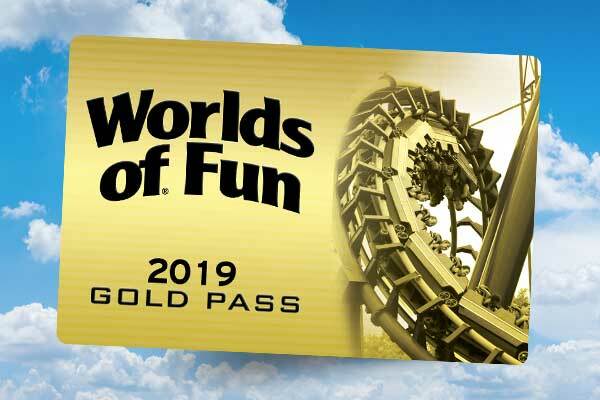 Worlds of Fun is currently issuing media passes to working journalist in the following markets: Kansas City, Topeka, Omaha, Wichita, Lincoln, Columbia, Jefferson City, Des Moines and Joplin. Worlds of Fun will issue complimentary tickets to the full-time news media personnel listed below who want to visit the park for a leisure visit on public operating days during the season. These passes are limited to two (2) per person for one (1) visit during the season. Only news department employees are eligible for these passes; promotions and advertising personnel are encouraged to call their promotions contact at the park for inquiries about tickets. Worlds of Fun is currently issuing media passes to working journalist in the following markets: Kansas City, Topeka, Omaha, Wichita, Lincoln, Columbia, Jefferson City, Des Moines and Joplin. All requests for media tickets must be made online by filling out and submitting the form below. All requests must be submitted a minimum of seven (7) days in advance of the day you plan to visit. Approved requests will receive a confirmation letter or email, which must be presented at Guest Services along with a photo ID to receive your tickets. 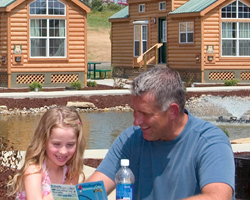 Looking for just the right words and word count to describe Worlds of Fun? Worlds of Fun is a regional amusement park located in Kansas City, Missouri. Themed after the Jules Verne novel, Around the World in 80 days, Worlds of Fun offers over 100 rides, shows and attractions. In 2013, Worlds of Fun and Oceans of Fun combined park thrills to a one ticket admission. 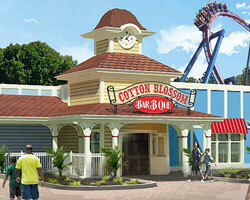 Guests now enjoy 235-acres of rides and slides in one park for one price. Worlds of Fun is owned and operated by Cedar Fair Entertainment Company, a publically traded company (NYSE: "FUN") headquartered in Sandusky, Ohio.